Everyone loves a good deal, whether it’s on food, entertainment, furniture, even car insurance. But unfortunately, securing a good auto insurance premium isn’t as easy as grabbing a Groupon or using a promotional flyer. 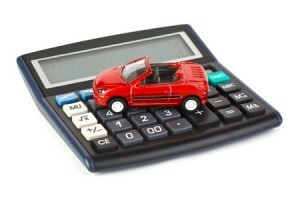 Car insurance premiums can be very steep, and insurance doesn’t go on sale. Despite this, you can still find a way to secure a pretty decent deal without too much of a hassle by using a car insurance estimator to compare quotes. There are a number of advantages to using a car insurance estimator that go beyond just getting a few quote comparisons. While the end goal is to get lower car insurance rates, these added benefits also make this route a good idea. Shopping for car insurance is among the most frustrating aspects of getting yourself on the road. Even buying a car can be less of a headache. Trying to get the lowest rates on car insurance can be a stressful, time-consuming experience, but using a car insurance estimator can help alleviate some of the stress. It handles the majority of the work; instead of having to identify providers and then pick up the phone and call them, a car insurance estimator allows you to fill out a form in 5 minutes and automates the quote process for you. You spend less time on hold over the phone with various providers, and you still get accurate results. Not only does a car insurance estimator allow you to get quotes from different insurance providers, but it allows you to easily obtain quotes for different types of coverage. For example, you can easily modify form fields between PLPD (personal liability and property damage), collision and comprehensive insurance to get an idea of how much each will cost you. You can also change the deductible and see how it affects rates. Within 10 minutes, you can have a quote from three different providers for three different types of coverage. A car insurance estimator is particularly useful for those who are looking to buy a vehicle but are wary of what insurance rates may cost. The make, model and year of a vehicle are significant factors affecting the price of insurance. Thus, it is prudent to understand the costs associated prior to purchasing a vehicle, and a car insurance estimator allows you to do this. If you are trying to decide between a few different vehicles, knowing what each will cost you to insure can help make the decision that much easier. When shopping for car insurance, it’s always a good idea to get at least three different quotes, and a car insurance estimator helps make this process quick and easy. Not only will it help you secure the best rates, but also alleviate stress and frustration, allow you to get quotes on different types of coverage, and even help inform the vehicle buying process.